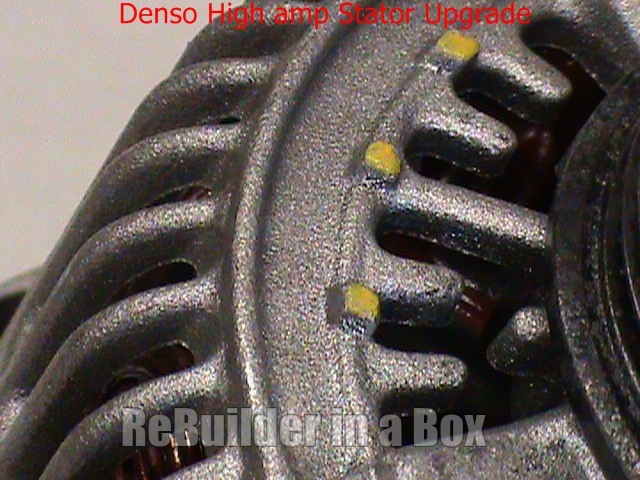 This is for the Denso high amp stator upgrade. 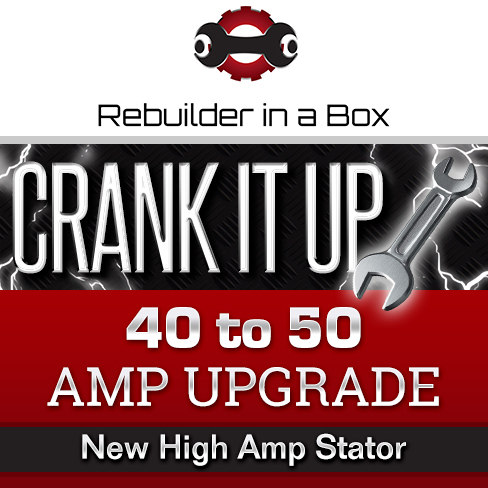 This upgrade works best along with the rebuild kit for a more complete rebuild. There are two different sizes of stator upgrades. You will want to be sure you order the correct on. 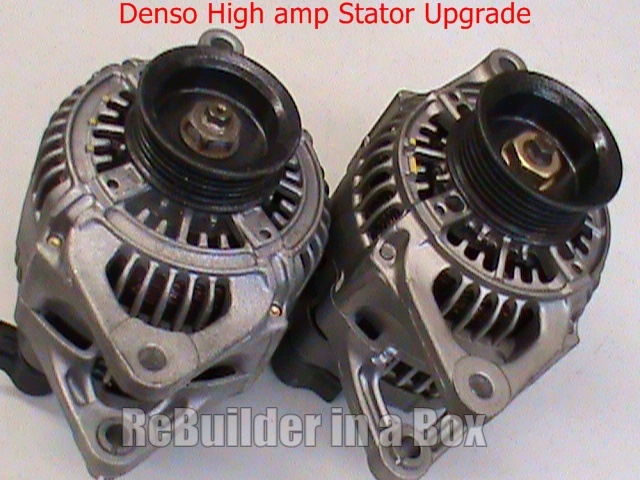 I have a few pictures below to help identify the correct stator upgrade for your alternator rebuild. The nice thing about these upgrades is we also include a new front plate with the stator dropped into the plate for a much easier rebuild. The next picture will show how to identify which is the small frame alternator. Then under the picture you will find a link to order the upgrade. 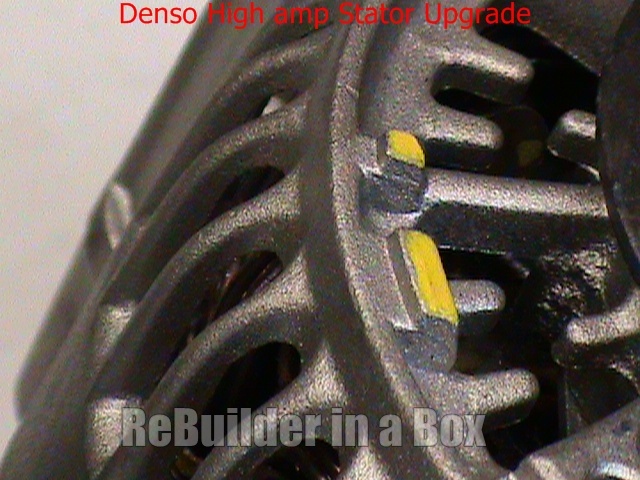 Look for the markings we highlighted in yellow that will be on your alternator. This Picture will identify a Large alternator. Just as the above picture we highlighted the markings in yellow of what to look for. The link to this upgrade will be located just under the picture.